Harajuku student wearing a vintage polka dot dress, blue sneakers, quilted bag and a plaid hat. Green-haired beauty school student wearing an oversized t-shirt, plaid skirt over animal print pants, platform sneakers and a plaid sling bag. Stylish Japanese students showcasing color-coordinated street styles while out in Harajuku. Stylish Harajuku teens in color-coordinated fashion with resale items. Harajuku trio in vintage and brand fashion with printed tops, logo print vest & pants, zipper boots, net shawl top over printed top, printed skirt, leather loafers, floral print top, pleated skirt over wide leg pants, geta sandals, and accessories. 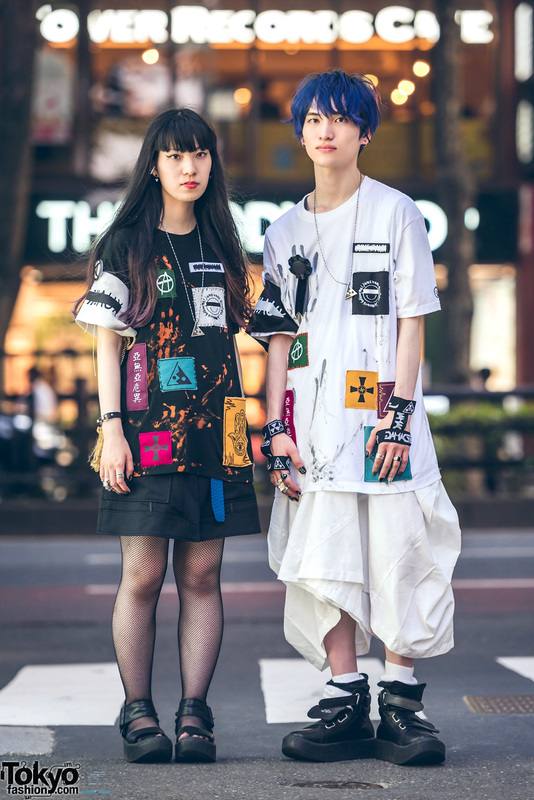 Harajuku couple in mostly monochrome street styles with handmade patched shirts, skirt, fishnet stockings and platform sandals, and wide leg pants with high top sneakers. 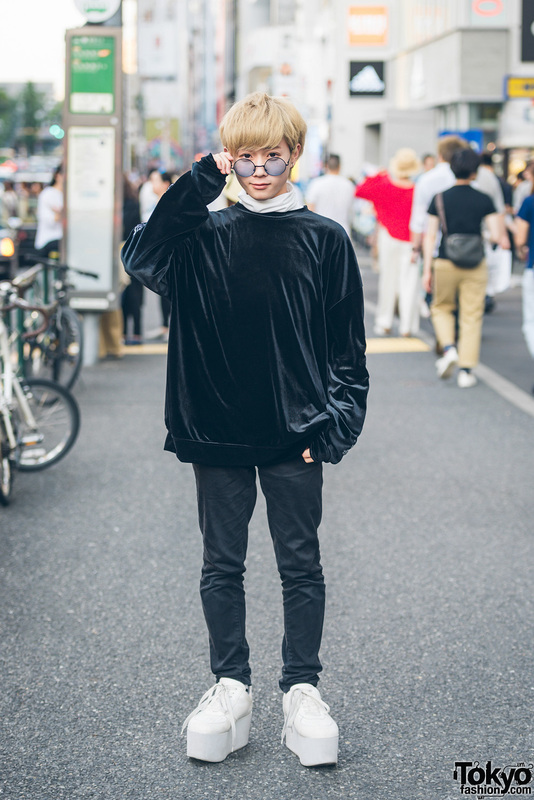 Harajuku high school student in black and white fashion wearing velvet sweater over turtleneck top, pants, white platform shoes and a faux leather backpack. 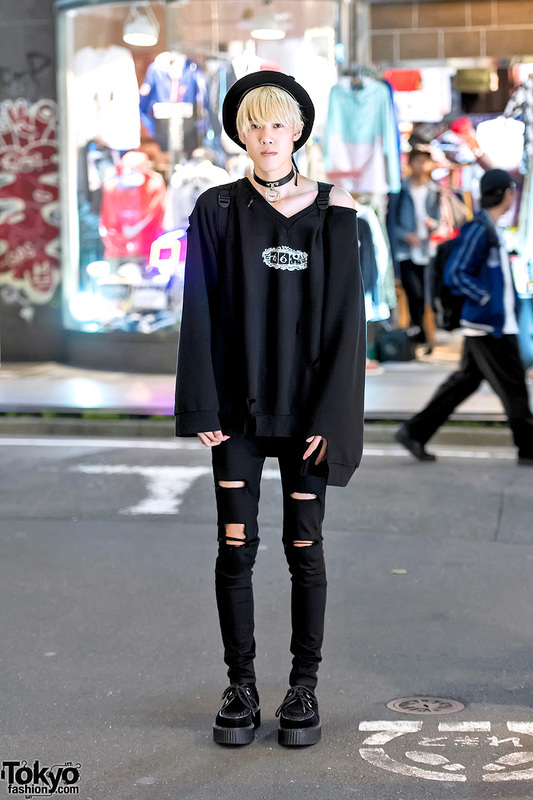 Harajuku guy in monochrome fashion with a beret, o-ring choker, ripped sweatshirt and jeans, platform creepers and backpack. 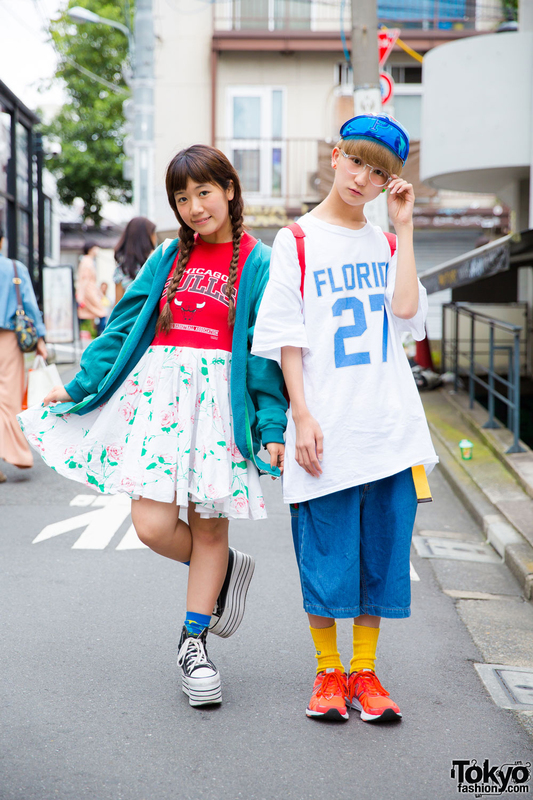 Harajuku dancers in colorful and sporty remake and resale fashion. Harajuku girl in fun fashion with Mickey Mouse & Minnie Mouse print shirt, pencil skirt and platform creepers.